Escape to a cooler climate and relish the tranquillity of days gone by at 5-bedroom Craig Appin Bungalow near Hatton in the southwest Hill Country. Encircled by a pretty garden, the bungalow is fully staffed and features a living room, a TV Lounge, a dining room and a furnished veranda. Set amidst the verdant backdrop of the Watawala Estate, Craig Appin is a glorious early nineteenth century granite planter’s bungalow situated on the outskirts of Dickoya, near Hatton. 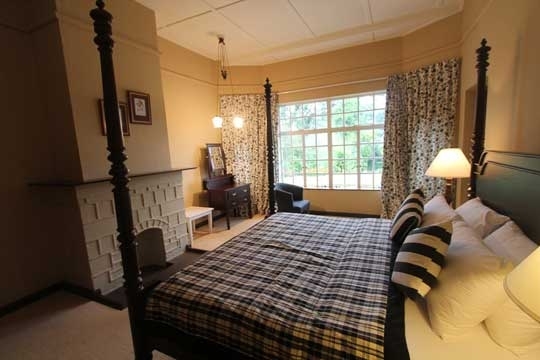 Although the bungalow’s period features are redolent of yesteryear, it has been brought into the twenty-first century with recent renovations including the recarpeting of rooms, the remodelling of bathrooms and the plush reproduction of colonial fittings and furnishings that comfortably complement the past. 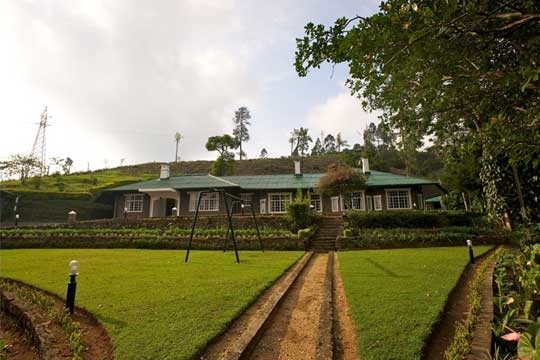 Black and white photographs of Ceylon tea estate workers further infuse a sense of history, contrasting with the bungalow’s own striking panoramic views of the lush tea plantations as they stand today. 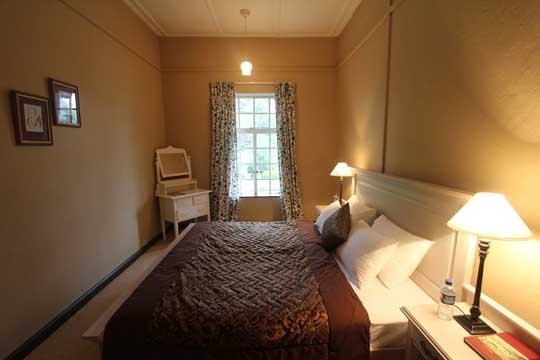 The bungalow is home to five cosy garden-view bedrooms and a pair of living rooms decked out with squashy sofas, luxuriant drapes and intricate chandeliers. Carpets and rugs are snug underfoot, and the soft glow of lamps evokes a warm ambiance at night. The dining room is a fittingly formal place for enjoying hearty Hill Country cuisine – English breakfasts, Sri Lankan lunches and three-course set dinners are the norm – although the food seems to taste even better when the tables are placed outside in the fresh mountain air. The bungalow stands at an elevation of around 1,200m, so you can expect warm sunny days, and comfortably cool nights. Craig Appin is staffed by a small team, including a chef to cater to all of your culinary requirements. Rates include breakfast with all other meals priced per person per meal. French windows from the bungalow look out across the driveway onto a lush garden that tumbles colourfully down the small hill atop which the bungalow privately stands. Swings on the lawn are a hit with the kids, and the potential for delving into the rich tapestry of the enveloping countryside is endless, making this bungalow an ideal retreat for family groups who enjoy the great outdoors. Attractions in the area include tea factories, spice gardens, old churches and reservoirs, and the sacred mountain of Adam’s Peak – a place of pilgrimage – is only an hour’s drive away. 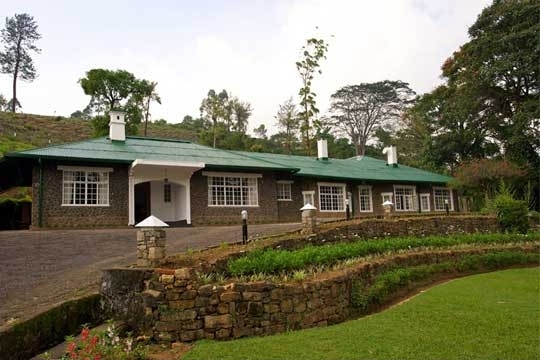 A tranquil planter's bungalow near Hatton amidst lush tea plantations. 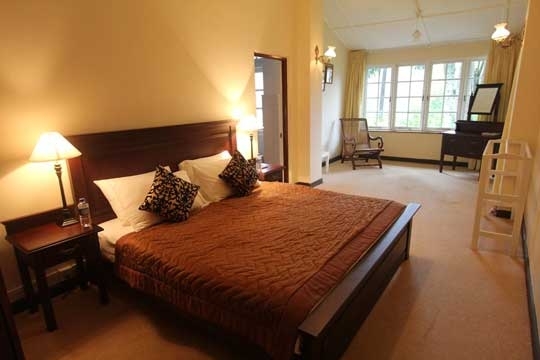 Craig Appin Bungalow sits within a beautifully manicured garden on the outskirts of the small town of Dickoya, near Hatton, in Sri Lanka’s southwestern Hill Country. From its elevated position, the bungalow boasts glorious views over neighbouring hillocks, all of which are lushly cloaked with verdant tea bushes. Just below the bungalow is the rugby and cricket pitch of the famous Darawala Club, an establishment dating back to the colonial days. Unpaved roads and lanes through the surrounding estates offer plenty of potential for getting out and exploring this gorgeous emerald landscape on foot. The elevation in Dickoya is approximately 1,200m above sea level so although the days are warm and sunny – much like a perfect English summer’s day - the evenings can feel fresh and cool, which is a welcome relief if you’re travelling from the hot and humid coastal areas of the island. The large market town of Hatton is just 5km from the bungalow and here you’ll find a range of banks, pharmacies, fresh produce markets, liquor shops and a branch of the island-wide Cargil’s supermarket chain. All of the rooms at Craig Appin open from a long corridor that runs like a spine down the back of the bungalow. 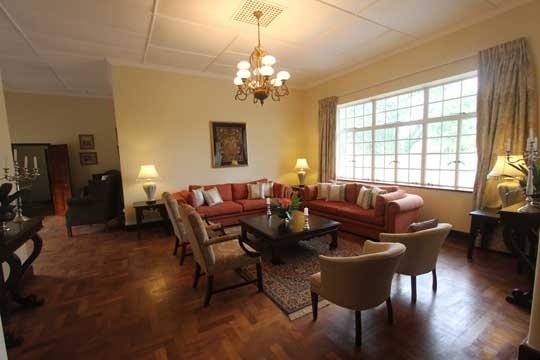 There are five bedrooms (two of which share a bathroom) a pair of living rooms and a formal dining room. Furnishings are period reproductions and the bungalow boasts panoramic Hill Country views. The entrance to the bungalow takes you directly into a spacious living room furnished with plush sofas and armchairs sprinkled liberally with cushions. Magazines top a coffee table and on the walls hang nostalgic black and white photographs of Ceylon tea estate workers from days gone by. 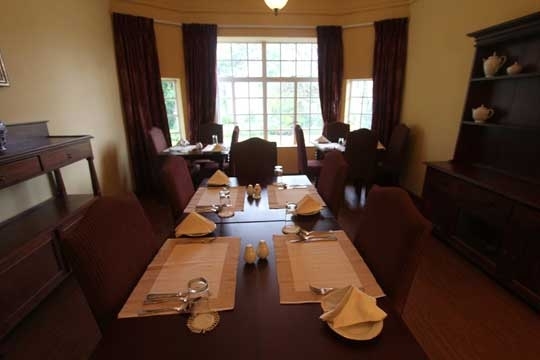 Wander down the corridor and the dining room is the next room you’ll reach. It features a dresser and tables that can seat up to ten diners. Beyond this is a second cosy lounge furnished with a pair of long black sofas and a flat-screen cable TV. At the far end of this corridor, and indeed the bungalow, is a deep veranda that’s open to the garden and furnished with rattan sofas. 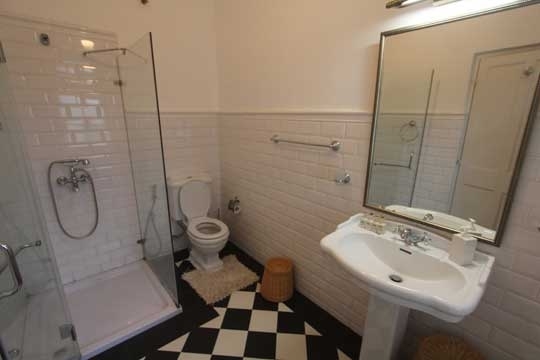 Craig Appin offers five double bedrooms and four bathrooms. 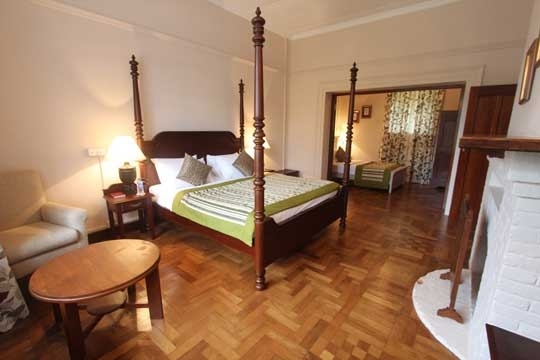 Each overlooks the tea hills and the pretty garden and is furnished with a king-size bed, a dressing table, a cupboard and floor length drapes. 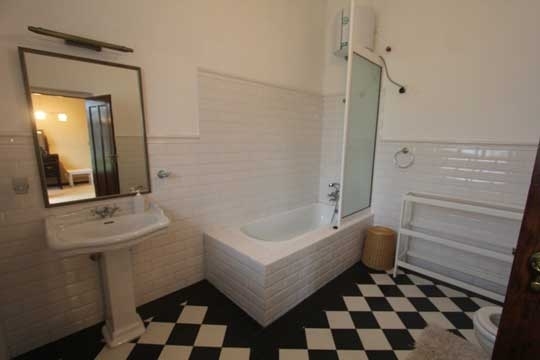 Monochrome bathrooms are fitted with hot water showers. 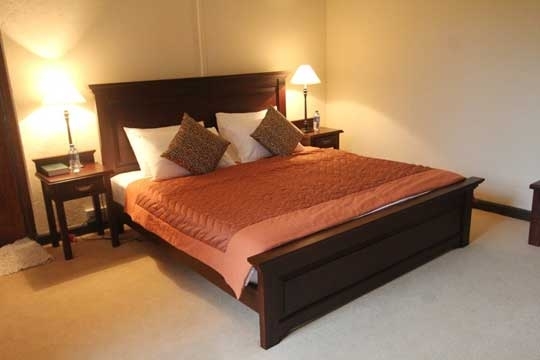 Bedroom 1, closest to the entrance, additionally has a single bed making it a good option for a couple with a young child, whilst bedrooms 2 and 3 are interconnected (but also have their own access) and share a bathroom with tub. Bedrooms 4 and 5 are located opposite the dining room and are closest to the bungalow’s simple kitchen (for staff use only). 5 bedroom villa located in Hatton, Hill Country. Ideal for Bring the relatives, Kid friendly, Fair share for groups, The great outdoors, Sensible for seniors, Room with a view, Walk into town.